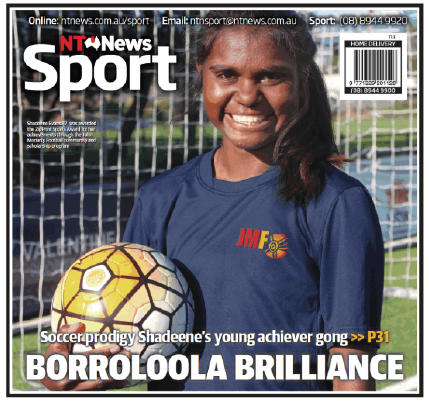 Scouted by Matildas coach Alen Stajcic, coached by former Matildas player Leah Blayney and described by former Socceroo Craig Foster as “easily one of the best talents in the country for her age group”, 14-year-old Shadeene “Shay” Evans is a soccer player on the rise and the poster girl for Indigenous Football Week. For the past eight months, Evans has been part of an elite soccer program at Westfield Sports High, living with the family of one of her classmates and training every day after school. It’s a long way from her home town of Borroloola in the Northern Territory, where she played soccer for fun and was surrounded by relatives on her traditional land. At the age of nine, barefoot and following her brother, Evans was introduced to soccer by the John Moriarty Football program. Moriarty, who in 1961 was the first Indigenous soccer player to be selected for Australia, was also born in Borroloola, and has been running the program since 2012. It employs local coaches, provides hundreds of training sessions and games each year and links soccer to education, healthy lifestyle and opportunity. 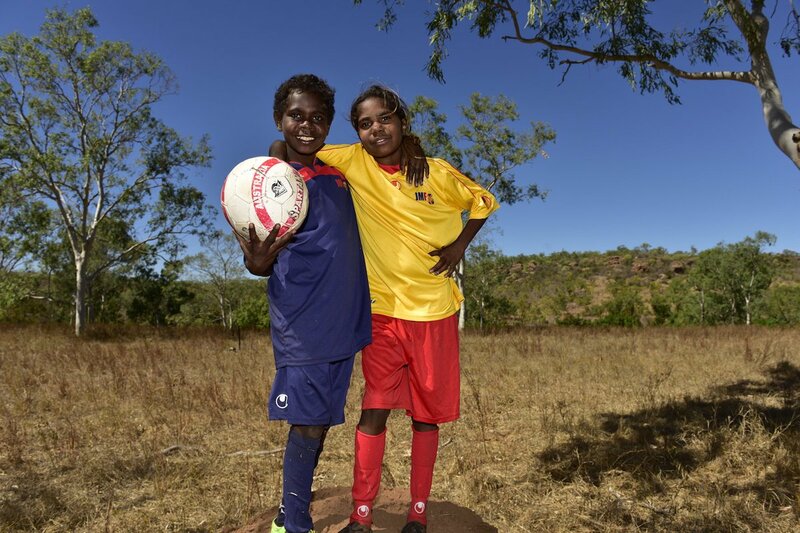 “We want the kids to experience what life is like outside of Borroloola,” said Moriarty, whose program took a group of Indigenous kids to the FIFA World Cup in 2014. Within a year Evans impressed Stajcic by representing the Northern Territory under-17 side at the national championships in Canberra. Evans is a natural striker, strong and aggressive, described by Stajcic as “a great mover, well balanced, good speed and a good dribbler of the ball”. After Stajcic’s recommendation and financial support from John Moriarty Football, in August 2015 Evans made the 3000-kilometre move to Sydney. At her first introduction to the school, she walked five metres behind Blayney and barely said a word. To ease the transition, Evans has been welcomed into the household of her classmate Gracie Johns, who treats her like a sister, while the current Western Sydney Wanderers W-League goalkeeper Jada Whyman, 16, has become a close friend and mentor. Indigenous Football Week is a major fundraising initiative run by John Moriarty Football in partnership with the Football Federation of Australia. The program, which launches this week, hopes to create a better supported pathway for Indigenous soccer players and expand its operations beyond Borroloola and Robinson River in the Northern Territory. Evans, the first John Moriarty Football graduate, says she has inspired others in her community. And just as Whyman idolises the Matildas Indigenous goalkeeper Lydia Williams, Evans’ favourite player is Matildas striker Kyah Simon. The latest news delivered to your inbox.